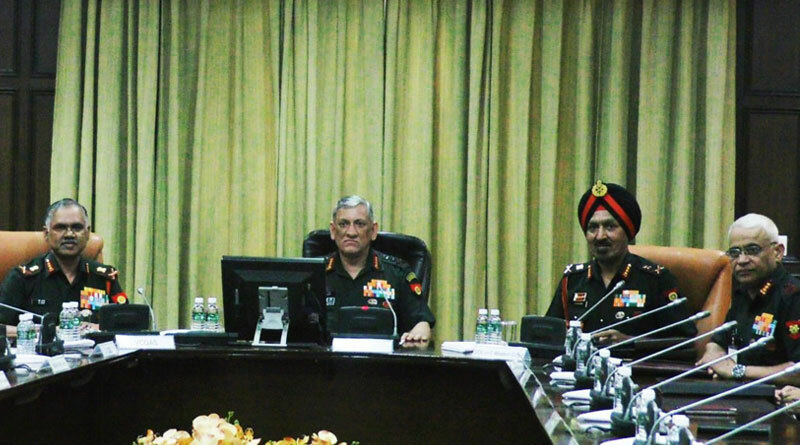 The Army Commanders’ Conference, being held in New Delhi from 8 to 13 April 2019, has comprehensively deliberated all aspects of extant security dynamics, emerging security scenarios, enhancing operational capability in near and long-term and enhancement of combat edge over potential adversaries. An apex level biannual event, which formulates important policy decisions, Army Commanders’ Conference is an important event in planning & execution process of Indian Army. To ensure due diligence, decisions are taken through collegiate system comprising army commanders & senior officers. It has been emphasised in the conference that Indian Army is committed to peaceful security environment and shall holistically address emerging threats, challenges & ensure no room for terror. Reviews during the conference included readiness, tri-services synergy, military diplomacy, joint exercises that have created capacity & environment and supporting operational plans that have evolved. Defence cooperation has facilitated new vistas and these shall provide excellent opportunities for enhancing strategic engagements. All future conflicts would be planned and executed jointly by the three services. For developing deeper understanding and enhancing jointness, Air Chief Marshal BS Dhanoa, Chief of Air Staff addressed army commanders & staff wherein he conveyed vision & high credibility of IAF missions and ideas for synergised application. Admiral Sunil Lanba, Chief of Naval Staff and Chairman, Chiefs of Staff Committee also addressed the army commanders and focused on jointness and challenges in maritime domain. 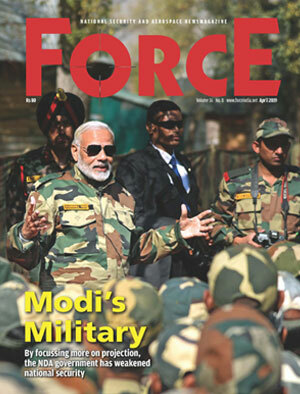 The COAS emphasised on the need to enhance technological threshold of all ranks so as to imbibe state of art technology and exploit the same, in an era when the Indian Army is becoming a more networked and digitised force. The conference reiterated the need for re-prioritising the existing requirements to ensure that the resources allocated for force modernisation and capacity building be ensured by optimising allotted budget. Additionally, to promote indigenisation through ‘Make in India’, an exhibition of emerging and future defence technological innovations was held. A total of 53 domestic companies participated in this event. This interaction of industry representatives with the senior leadership of the Army facilitated in obtaining a direct feedback regarding product development and enhancement keeping in view the requirements of Army. The need for increase in the content of indigenisation in force modernisation was put forward and deliberated. The need to appreciate role of women officers in view of their permanent commission and align their employment gainfully with organisational requirements received consensus at the conference. It was also stressed to examine avenues for making the lady officers experts in foreign languages, artificial intelligence, data management, cyber and space domains.